Modeled on the cork sandal, it is made from ultra light and highly flexible EVA. The high-quality, odor-neutral EVA has been tested for harmful substances and combines numerous positive attributes. It’s waterproof, ultra lightweight, washable and therefore extremely easy to care for. Exactly like the original cork soled Birkenstock Arizona, except made out of one piece moulded plastic. Just as comfortable and provide an excellent slipper solution. Delivery was good and timely too! Good product at a really good price! The delivery was free and arrived quicker than expected!! 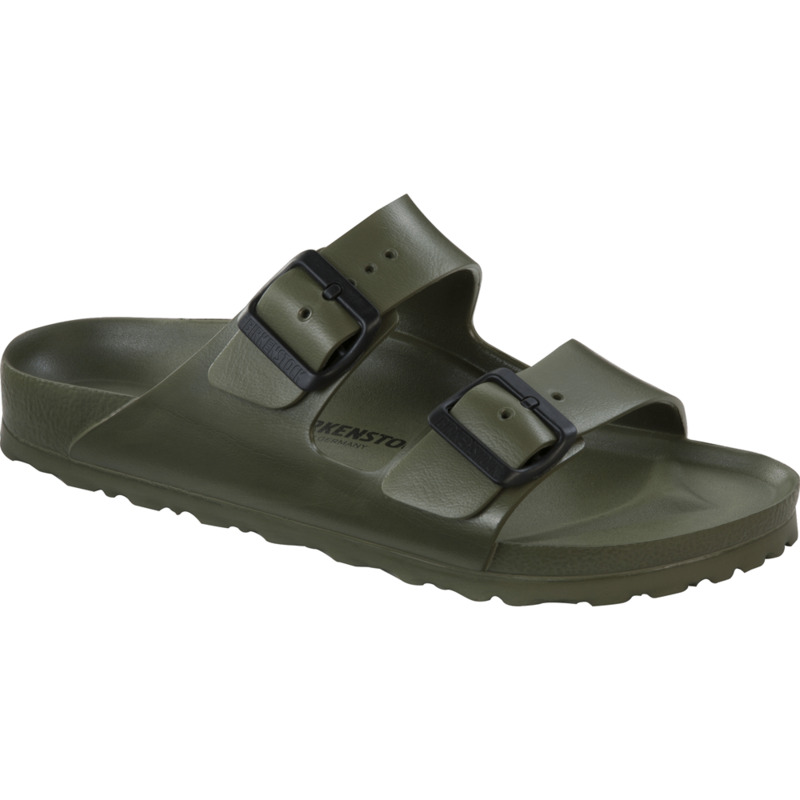 Thank you, it's a great sandal, although it is lighter than most birkie sandals. I wish they would make the 3 strapped Hawaii model back in the birkoflor range. Anyway it's great to have such nice non leather footwear available at an affordable price.